Liquid Gold is THE cult product from Alpha-H that literally put the Australian brand on the map – Globally. Created in in the year 2000 Liquid Gold has achieved incredible success at completely transforming and treating clients skin, via gently exfoliating and renewing the appearance of the skin. 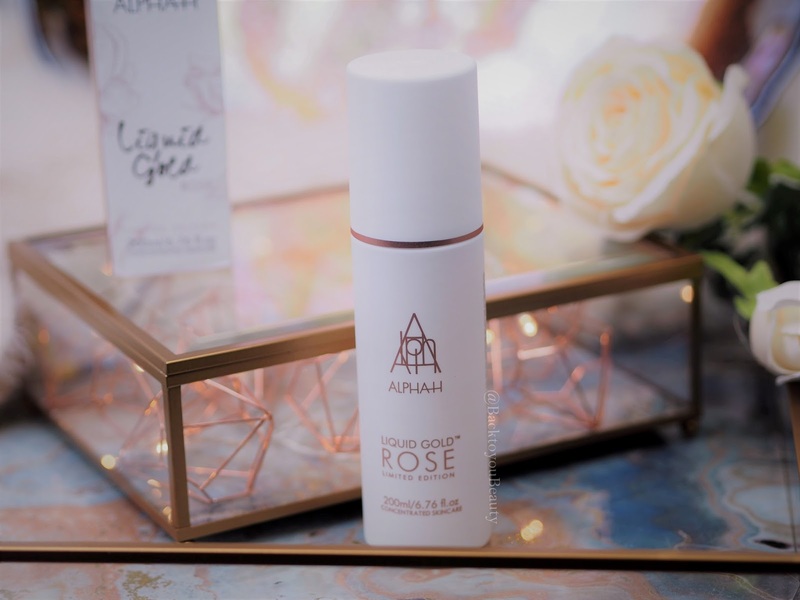 This year the Limited Edition Rose Liquid Gold launched and it is every bit as beautiful, powerful and effective as the original, but with the added benefits of Rose. Liquid Gold works like an overnight facial, so three nights per week, on alternate nights, you apply the Liquid Gold Rose, over the face, over the top lip, around the orbital bone, targeting any uneven skin tone and discolouration, also taking it down the neck and onto the décolleté. Due to the fruit acids included, this beautiful liquid exfoliates on contact leaving you with incredibly smooth skin. I have seen amazing results this past year on sun damage above my top lip. That area for me had suddenly started to look dry and creapy and really started to age, but with regular use of this and another Glycolic product, my skin looks smooth and bright and completely different. It gently lifts away those dead skin cells and leaves behind, beautifully soft, plump glowing skin. Who wouldn’t want that right? This does have a slight tingle on the skin on some people, as its resurfacing and working, and whilst we sleep, the addition of the Rose and Orchid and Lotus petal, deeply hydrate the skin, meaning there is NO need for moisturiser after application. My dehydrated, mature skin, absolutely adores this product and the addition of Rose makes it smell beautiful and just feel that little bit fresher and an absolute joy to use. This is my go to now that the weather is changing and we have turned on the heating. I do not want my skin hiding under layers of old, dirty skin cells, but I want it plump, fresh and glowing and I definitely achieve it with this. The great news right now is that until November 1st this product is available as a Supersize 200ml bottle for just £41.95 plus p&p on QvcUK. The value is absolutely outstanding and will not be around for long. 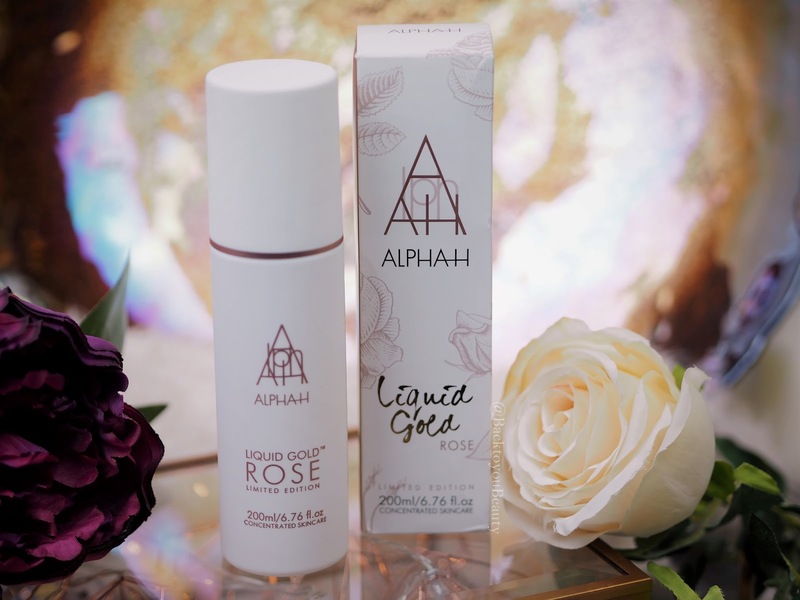 The other incredible news is that courtesy of Alpha-H I have one Limited Edition Liquid Gold Rose 200ml to giveaway below. 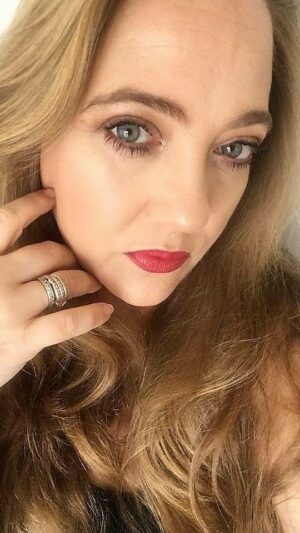 "HUGE news for UK It Cosmetics Fans…….."
The Rose Liquid Gold sounds lovely, will have to give it a try! Love the original! Tried this when i received the tili box. Love this more!!! I used to use this but with such choice of existing and new brand's coming along it got left by the wayside. But I do like this and it worked on my skin well. I love Liquid Gold – I remember how amazed I was the first time I used it – it helped products I used after work better. I have never used this product before. I am very intrigued as alot of people have good things to say about this product. I have tried their mask and exfoliating scrub but would love to try this! My skin needs it! Love this – prefer it to the original one! My skin looks so much clearer now. I really like products that work over night. I'm always too busy for a good pamper session these days so this is a great time saver. I love thIs product although I can't use it too often as it's a little harsh on my dry skin! Oooh exciting! I have never used anything from this brand but the packaging looks beautiful! Enhanced I am sure by your lovely blog pictures as always. Have been a follower for a while now, keep up the good work Sharon. Nope – but this looks really good! I have never come across Alpha H before but this sounds amazing. Just what I need! I have not tried Alpha H but would love the opportunity. I haven’t tried any of these products before but they sound amazing. 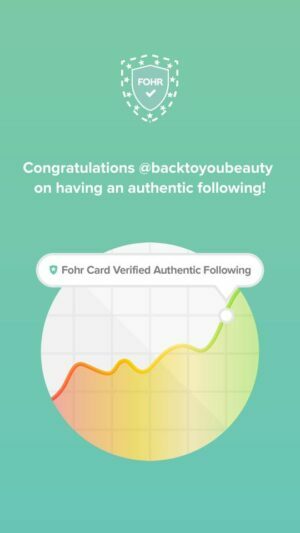 I have heard of this, would love ro try! No, but they sound brilliant! No not tried them before. Got to be honest, never even heard of this before. But it looks fab! I'd love to try it! Yes tried liquid gold when it was in last year's marks and Spencer's advent calendar – it's great! no I've not but would love to. I haven't yet but would love to! 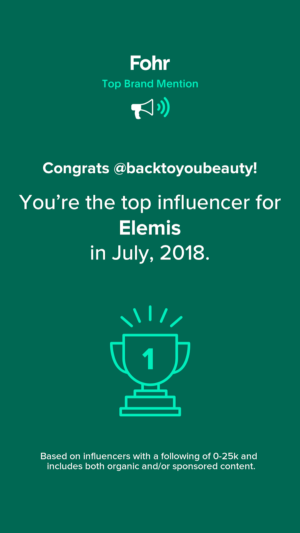 I havent tried any of their products but i would love to! Not yet, but here,s hoping ! I use the original liquid gold, it's done wonders for my skin! I haven't tried any Alpha-H products yet but reading this, they do sound rather good! I've tried Liquid Gold – it's fab! Would love to try the Rose Gold. I haven't tried them, but I have seen them before on QVC & been tempted! I've not tried any but have seen it and heard good things, so would love to try it. 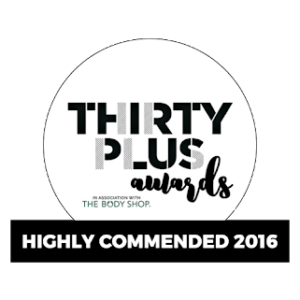 I have not tried their products before , however they sound fabulous, and will be giving them a try in the future ! I've never tried any Alpha-H products before. I haven't tried anything before but I'm so intrigued by these products! I've never tried any of the products and actually this is the first time I have heard of them. No I haven't tried any of these products before! No, but would love to give them a go. I haven't, but I've heard a lot of good things! I haven't tried any before, but would love to. Yes, I have. It smells lovely. I've never tried them but they sound brilliant! I'd love to! No but would like to ! This sounds perfect for my eczema. I'm always on the look out for something that may help with my dry skin on my face. I have never tried but have heard such good things I am desperate to! No, I haven't, but have heard great things about the brand. No, it is not a brand I am familiar with. Never tried but I'd love to, I've heard about it in the past! I've never tried them before, but I would very much like to. No I havent but they sound fantastic. I’ve never tried any of their products before! I haven't but they sound amazing. I really need to dig my bottle out – my skin has been all over the place lately!